Matthew Jukes has worked in the UK wine business for over 30 years. With experience in all sectors of the industry he has been writing about wine for two decades and during this time has penned fourteen wine books. He now concentrates on four comprehensive annual Reports which are published on this website. The Burgundy En Primeur Report is published in early January. The Bordeaux En Primeur Report is published in April and the 100 Best Australian Wines Report is published in May, and this initiative is in its fifteenth year. The Piemonte Report is published in the summer. One of the world’s leading experts on Australian wine, each year he takes a selection of 100 Best Australian Wines on a Roadshow around the UK and also to China. He also runs an annual competition in Australia to find ‘The Great Australian Red’. Created with Brisbane-based wine writer Tyson Stelzer, this tasting sets out to find the best Cabernet Sauvignon/Shiraz wine in the country, which Matthew describes as ‘the blend that defines Australia’. This initiative was started in 2006 and Matthew and Tyson have hosted TGAR showcase events in London, New York and Sydney in order to spread the word about this iconic red wine style. Matthew regularly lectures, judges, speaks at wine conferences and runs masterclass tastings for both corporate and private clients all over the world. Matthew is also the creator of his ground-breaking initiative, One Day Wine School. This indulgent day of tasting and learning was first performed in 2006. Matthew has written a highly acclaimed, weekly article for MoneyWeek since 2006 and also a weekly column for the Daily Mail’s Weekend Magazine since 1999. With over 9 million Daily Mail readers a week, Matthew has the most keenly followed wine column in the UK. Matthew was made Honorary Australian of the Year in the UK at the 2012 Australia Day Foundation Gala dinner. He joins an eminent list of previously appointed Honorary Australians, including Lord Carrington, Sir Robert Wilson, Baroness Greenfield and Sir David Attenborough. Matthew’s thoughts, recommendations and tastings notes are followed very closely by the wine world at large. Matthew is the Founder & Patron of Touch Wine in aid of the homeless in Adelaide, started in 2005 and Degustation for Dignity (Wine Rules) in aid of St Mary’s House of Welcome (www.smhow.org.au) in Melbourne, started in 2011. To date, his various initiatives have raised over AUD $2.5m for charity. Matthew started his career in the wine industry in 1987 working with the talented wine consultant James Rogers at the Barnes Wine Shop, London SW13. From there, Matthew moved into buying for Bibendum Restaurant & Oyster Bar in London (from 1990 – 2016), winning awards for this wine list and then into radio when journalism started to become his focus. After 3 years on a weekly radio slot for the BBC, Channel 4 approached Matthew to host the series ‘Wine Hunt’. Matthew then went on to write ‘The Wine Book’ which was later serialised by the Daily Mail and, due to the popularity of the book, Matthew was offered the chance to write the most widely read wine column in the UK in the Daily Mail’s Weekend Magazine, with over 9 million readers each week. He also writes a weekly column for MoneyWeek and a monthly column for Vineyard Magazine. 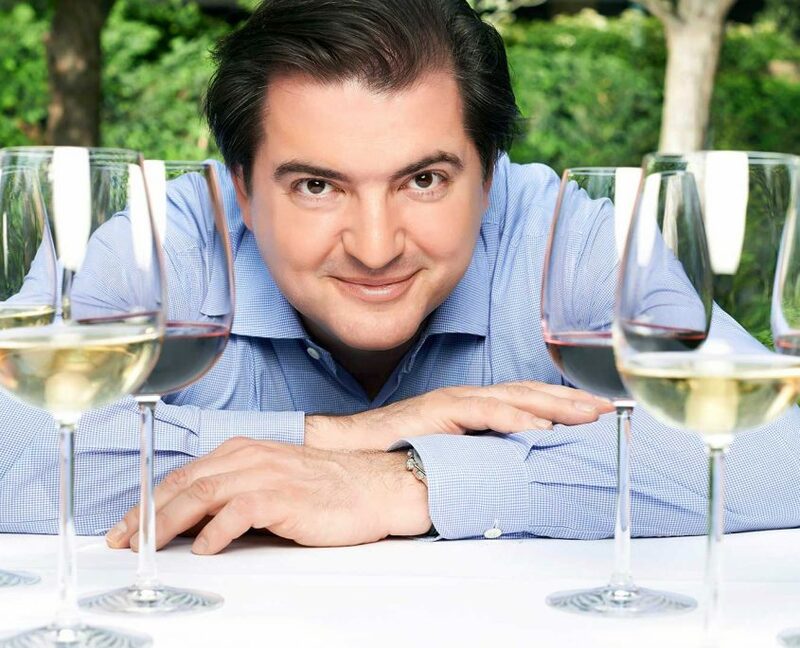 In March 2013 Matthew was given the Journalism Award at the Portuguese Wine Awards. In July 2013 Matthew was awarded the Communicator of the Year award by the English Wine Producers Association. In January 2012, Matthew Jukes was awarded the Honorary Australian of the Year Award by the Australia Day Foundation. It recognises a non-Australian resident of the UK who displays “Australian characteristics” or has contributed significantly to Australia. His book, Taste Food & Wine, co-written with Tyson Stelzer, won the Australian Food Media Award for Best Food and Writing in 2008. In 2002, Matthew won the prestigious International Wine and Spirit Competition’s Trophy for Wine Communicator of the Year. Matthew is a keen supporter of homeless charities. He is the Patron and Founder of Touch Wine, an organisation that raised money for the homeless in Adelaide, South Australia. The concept inspired sister projects in Victoria with Wine Rules, New South Wales with Touch Life and in Canberra with Touch Vinnie-Yard. Degustation for Dignity, an annual gastronomic wine dinner, is his latest charity event which raises money for St Mary’s House of Welcome (www.smhow.org.au), a homeless charity in Melbourne.